be aware there are no mistakes or wrong colours because these are edited by me. 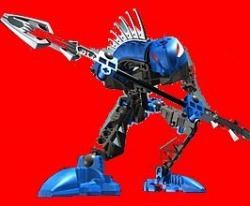 If he's in a Red background he'll be in Ta-Koro so Gurrahk is in Ta-Koro but i think Ta-koro isn't Plain Red. 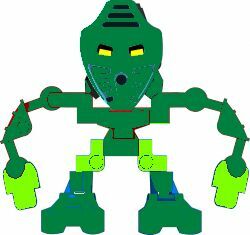 When Takua went on his Holidays he always went to Le-Koro, So he had to paint himself green to match the Le-Koro Matoran.